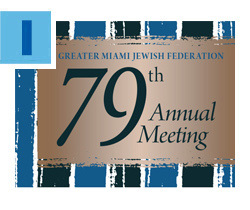 Mazel tov to five leaders whose commitment to Jewish life and community will be recognized at the 79th Annual Meeting of the Greater Miami Jewish Federation on Wednesday, June 7 at Jungle Island. Join us for a luncheon as we present the Stanley C. Myers Presidents’ Leadership Award to Adam Lustig and Elizabeth Schwartz, the Sandra C. Goldstein Young Leadership Award to Larry Bassuk and Alexandra Lehson, and the Robert Russell Fellowship Award to Ilene Kossman. Click here to learn more about the honorees and here to RSVP. Federations Gardens is opening its waitlist! The Federation-sponsored, federally subsidized, senior-housing facility serves low-income adults who are 62 or older and/or mobility impaired. Residents must have an annual income of no more than $26,450 or $30,200, for singles and couples, respectively. A HUD-required lottery system will select 300 names from a pool of pre-applications to be placed on the waitlist. Pre-applications are available from Monday, May 15 to Friday, May 19, at the Federation Gardens’ office, 10905 SW 112th Avenue, Miami. 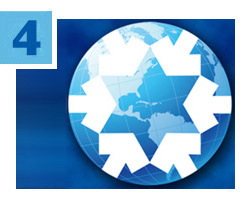 For deadlines and more information, click here. 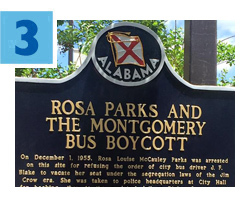 Twenty-four South Florida women explored four key southern cities of the American Civil Rights movement on a recent Mission organized by Federation Women’s Philanthropy and Jewish Community Relations Council (JCRC). The Social Action & Civil Rights Journey Through a Jewish Lens Mission, chaired by Brenda Nullman, provided the opportunity for participants to learn about the history of discrimination and its present-day consequences. The group also studied the parallel narrative of African-Americans' fight for equal rights to that of the Jewish people, and its striking similarity to many current political and socio-economic struggles. Read more. 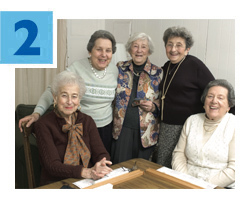 As you finalize your summer activities and review your financial plans, please consider adding a donation to the Annual Federation/UJA Campaign to your list. 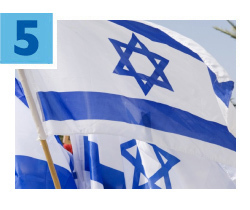 While things in Miami may slow down during the summer months, Federation’s lifeline of services work around the clock, here, in Israel and more than 70 other countries around the world. Click here to discover how your contribution helps fund more than 100 different programs and agencies across the globe. Click here to make a donation. May is Jewish American Heritage Month (JAHM), which recognizes the more than 350-year history of Jewish contributions to American culture. The specially designated month provides an opportunity for educators to teach diversity, cultural awareness and tolerance – the key ingredients to combating ignorance and hatred. The proclamation by President George W. Bush in 2006 was spearheaded by U.S. Congresswoman Debbie Wasserman Schultz and was the crowning achievement in a joint effort between our Federation’s Jewish Community Relations Council (JCRC), the Jewish Museum of Florida-FIU and South Florida Jewish community leaders.